Passive Income. Who doesn't dream of owning it? But be warned: You'll need to sacrifice something before you can own it. 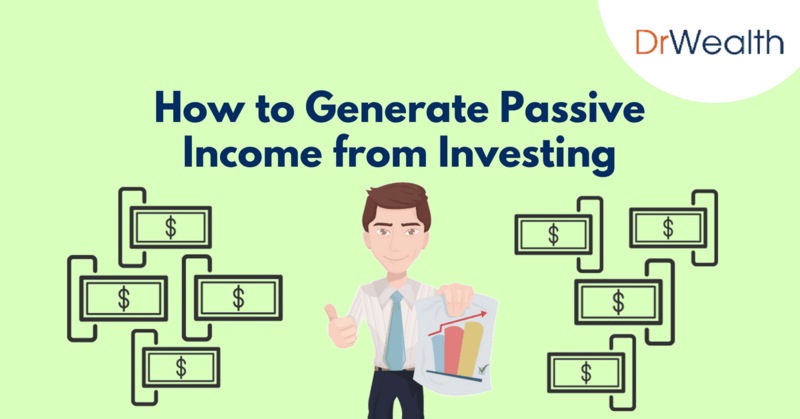 In this guide, you'll discover 5 ways to generate passive income. Some easier than others. But all would require some effort from your part. 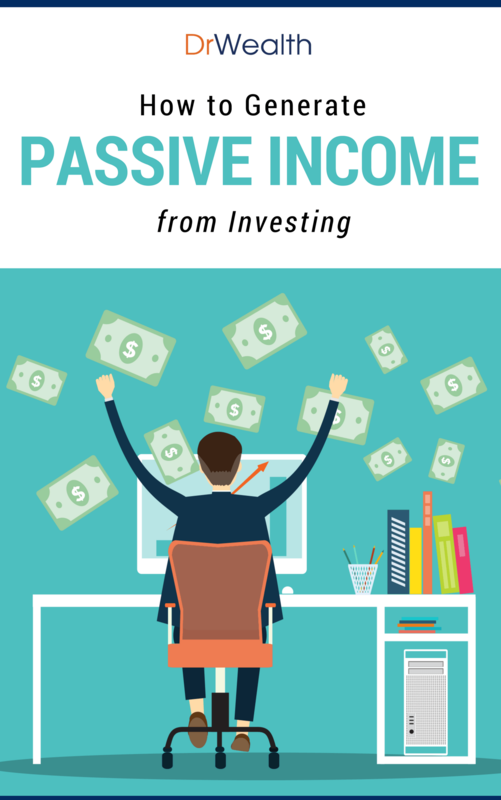 New Bonus PDF: Download FREE PDF version of "How to Generate Passive Income from Investing" Guide + 5 ways for you to start owning a passive income today! Stocks that pay dividends regularly are normally stable businesses such retail REITs and telcos. They tend to be less sensitive to market cycles. For example, if you had $1 million invested, a 4% dividend yield would already give you $40k income a year, which is pretty decent. By compounding the dividend payments, your returns will be much higher. Singapore observes the one-tier tax system. This means the dividends are distributed after corporate tax has been paid. And hence, individual investors are not taxed on their dividends. In short, tax advantage! Imagine you can build up a stash of dividend income and not be subjected to personal income tax! It is much more comfortable to see money coming into your bank throughout the year. Capital gains can be slow and it discourages impatient investors to wait. The instant gratification is much more attractive for most investors to stick to their stocks. Government bonds are available in small portions and provide risk free short term returns for the interim period when you have no immediate use for the cash. 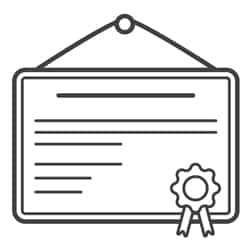 Corporate bonds are generally only available to institutional investors as the minimum investment quantum can be as high as $250k. The exception is retail bonds like the CapitaMall Trust and CapitaMalls Asia retail bonds but there are not many of them around. "Should I Invest in Dividend Stocks or Bonds?" Yes, some bonds default. However, it is definitely much more risky when it comes to stocks where the uncertainties and price volatility is greater. That said, bond prices can move up and down in between the issue and maturity dates and can be volatile too. But there is a maturity date that the bond holder can claim back the face value. It doesn’t happen for stocks. If the argument that the stock investor can participate in some capital gain, a bond holder also has the option to buy a bond at say 50% below its face value in a secondary market and eventually sell for 100% gain at maturity. Interests are paid to bond holders before the profits are shared with the shareholders. As such, the income from bonds is much more regular and predictable than dividends. 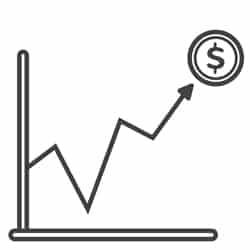 Dividends can only be paid out of profits, which means there is a chance shareholders would not receive any dividends if the company make a loss that year. Moreover, profitability fluctuates and hence dividends would fluctuate too. In times of liquidation, bond holders are higher in the pecking orders to make a claim for the company’s assets. Like dividends, interest from bonds are tax free. The main problem with bonds is that the income is fixed; hence the name fixed income, while stocks have the ability to grow dividends and generate capital appreciation. Most investors only use bonds to diversify their stock portfolio. The credit market is generally NOT available to retail investors. There are only 11 corporate bonds listed on SGX at the point of writing. There are in reality, countless corporate and government bonds being traded privately among institutions and high networth individuals. They trade in large amounts (a minimum investment requires $250,000). And the bonds are taken up without the need to flow them to retail investors. It is easier to deal with a small number of bond holders than an army of them. This means that the rich has access to higher yielding bonds and at the same time enjoy greater safety than shareholders. Who says life is fair? iShares Barclays USD Asia High Yield Bond Index ETF (O9P) is one of the bond ETFs which the retail investors have access to. Its yield is in excess of 7% and the reason for such high yields is because the Fund buys into bonds with lower credit ratings. They can be Government bonds from emerging countries and corporate bonds which generally have lower ratings than their sovereign counterparts. I noticed there is a relative misconception that these lower grade bonds are risky. The fact is that stocks are even more risky. Stock investors should be rewarded much more for the risk they are assuming than bond holders. And that reward usually come in the form of capital gain rather than dividends. In other words, I am more in favour of investing for capital gains in stocks and income from bonds. In summary, bonds are relatively safer vehicles but they are less accessible to the small retail investor. In the longer term however, numerous studies have shown that equities beat bond returns consistently. Property investing in general can provide one of the highest returns due to the leverage it offers. By leveraging on the bank loan, one can purchase a property many times the value of the down payment required. For example, if you can get a Loan To Valuation ratio of 80%, you are purchasing a property worth 5 times more than your down payment, effectively having 500% leverage. You can then rent out the property for passive income, assuming a good rental yield, you should have positive cash flow after accounting for the loan repayment and other costs. The problem with property investments is that they are very illiquid; it can be very difficult to sell especially in a down time. Plus, leverage is a double edged sword. If you purchased an overpriced property, it is possible for the value of the property to fall below the loan amount, leaving you with negative equity. Royalties are income generated from intellectual property or content such as books, music, movies etc. Creating an award winning book, a chart topping song or a blockbuster movie allows you to own income streams from royalties. Writing books is the most common route. 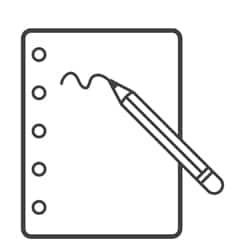 You can pen down your thoughts and knowledge or imagination and get it published. After which, you will get paid with every book that is sold in the bookstore. The amount you earn depends on how well your book sells. Online businesses are normally retail setups with minimal costs and upkeep. Unlike brick and mortar stores, rental, renovation is not required and staff costs are absolutely minimal. These translate to higher earning margins for any products sold through online websites. Is Passive Income The Right Goal For you? With so many varying advice on passive income out there, it’s little wonder that retail investors are confused. And investors no longer know what they want. In fact, investors stop asking themselves what they are trying to achieve through investing or trading. They resort to listening to gurus who they feel are most convincing. Sadly, that is not the way to go. The guru’s investment goal may be greatly different from yours. Not knowing your investment goal is like not knowing where your target is as an archer. Without a target, where shall you aim or shoot? You cannot shoot at a target that does not exist. There are 2 main types of investment goal. They are Cashflow and Capital Gain. Cashflow Goal – I want to make $5,000 a month in 3 years’ time. Capital Gain Goal – I want to have $1m in 10 years’ time. Is your Investment Goal Realistic? Another common problem is that investors do not have a realistic returns to benchmark themselves. The strategies and their corresponding returns are stated below. How To Check The Viability Of Your Investment Goal? 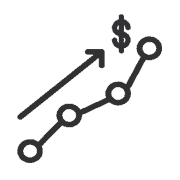 Cashflow Goal: Assuming you want to have a cashflow goal of $5k per month, you can choose Dividend Investing. You can go for dividends and invest $1.2m ($60,000/5%). This is relatively safer as you are not required to time the market. You just need to buy and hold for the dividends. The downside is that you need a sizeable capital which most people do not have. Another way is to break up the goal into 2 steps. Invest for capital gain first, ie, buy low and sell high and aim for a return to hit your $1.2m target. Thereafter, you can achieve $5k per month by investing for dividends. Capital Gain Goal: Let’s assume you want to achieve $1m in 10 years. You can go two ways. Invest in stocks with the intention to buy low and sell high, and not to hold forever. Each investment period can last a few years. With 12% returns per annum, you need to invest $325k to achieve $1m in 10 years. If you are not interested to pick your own stocks or trade the market, you can choose to invest in an index fund like STI ETF. In this case, you will need $465k to invest for the next 10 years to achieve your $1m dollars. Many people expect trading to make money faster than investing. It is not true after we take a larger sample size of the results, and factor the transaction costs. In general, it is reasonable to assume 12% returns as a target. Let’s not be overconfident to believe that we can achieve 30% per annum and sustain such returns for 10 years. If you think you do not have the skills or interest to do either, go with passive investing in an index fund. To conclude, you need to know what you want to achieve, so that you know which strategy is suitable, and what is the reasonable returns to expect. Of course, the other consideration is whether you have the skills and efforts required for each strategy to work. 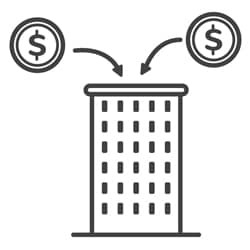 Now that you understand the debate between capital gains and cashflow, you should be able to decide which option you should be building at your current situation. Before looking at the potential dividends you will receive, always make sure that the stock you invest in is safe. Do your due diligence. Find out the financial health of the company. Find out how the company sustains their dividend payout. The last thing you want to happen is to have the company you invested in fold. A good investment should ideally become more valuable over time because the business is doing well and the management knows what they are doing. To ensure that your portfolio can withstand market movements and changes in the economic cycle, make sure that your portfolio is sufficiently diversified. Having 10 stocks that produces $10,000 in dividend would mean that on average, each stock is responsible for about $1,000 of dividend. While owning 2 stocks that produces $10,000 in dividend means that each stock provides an average of $5,000 of dividend income. It is easier to find stocks to replace the one that is responsible for $1,000 dividend compared to the one that provides $5,000. Deciding your investment goals and building your portfolio to provide passive income are just the initial steps to owning a passive income vehicle. Set a specific time each year to review your portfolio. Can’t decide on the date? Just use your birthday, it’s easier to remember. Go through your current investments and analyse them. Make sure they’re still offering you growth, diversification and safety. The time you take to do this is a small price to pay for your peace of mind. If you want to shortcut your way to Early Retirement via Dividend Investing/Passive income, you can check out Christopher Ng Wai Chung. Full disclosure, he's our early retirement masterclass trainer. And the only reason he can teach it is because he retired at 39 with a passive income of $6,000 - $8,000 per month. Should You Invest Your CPF Money in Stocks? I notice that most passive income talks are mostly dealing in shares or stock market. It is simply not Singapore context. When we talk passive income, we cannot leave out CPF Life annuity, our HDB property or investment property. 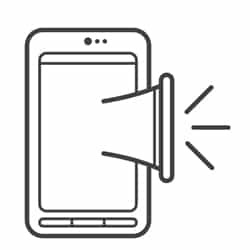 "How to Generate Passive Income from Investing"
17 pages filled with actionable tips and tactics to get you started on your first passive income stream from investing. Covers everything. From 3 characteristics any sustainable passive income stream must have, to the 5 ways you can generate passive income. + dividend stocks as an investment tool, and MORE!